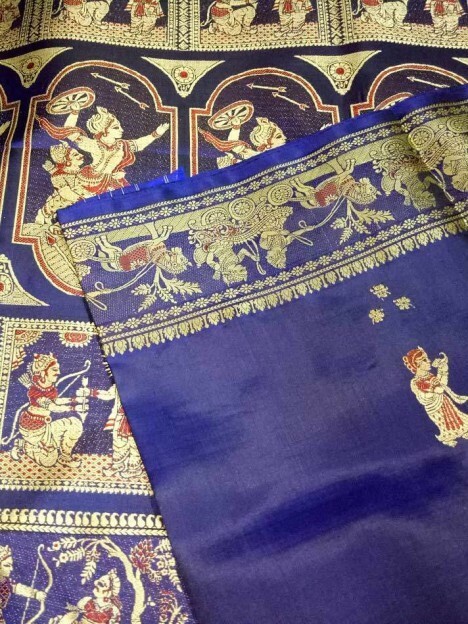 Shop authentic Bishnupuri Baluchari Sarees Online at reasonable rate from Online Naksha. 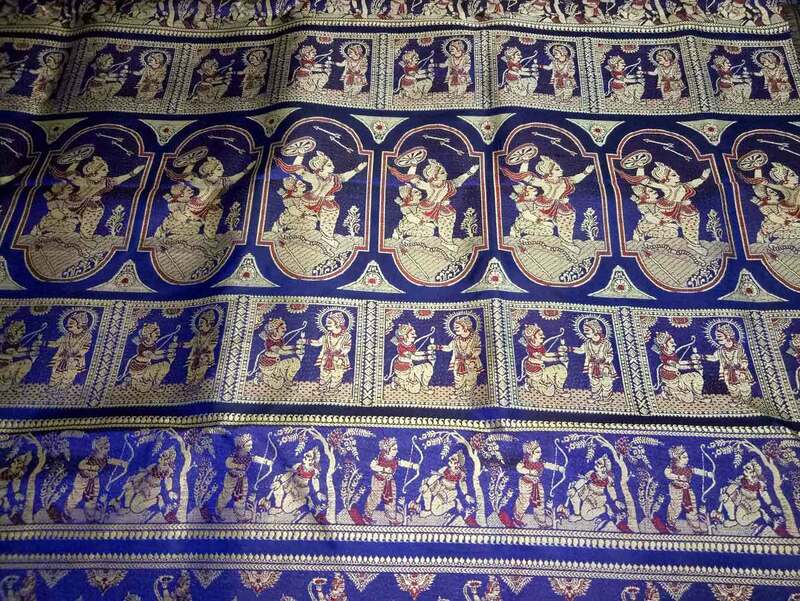 Featured purple baluchari saree has been designed with the character motifs of the epic Mahabharat, where Lord Krishna advising Arjuna in the battlefield of Kurukshetra. 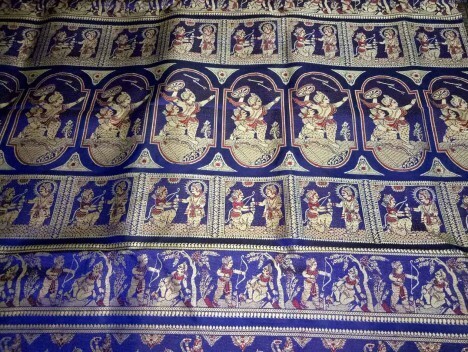 This is totally woven of pure silk and the maroon mina work highlighting the entire design of the saree. 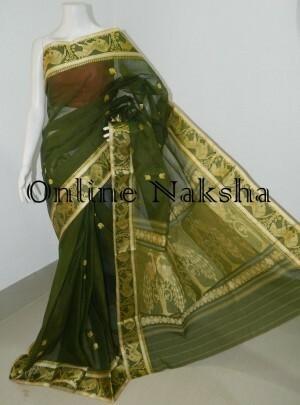 I have just bought a saree from Naksha and I am very happy about it. It is very beautiful and reasonably priced. While i had some issues while making payments with my credit card, the owner helped me solve the issue.Unlike others she responded to all my queries and iss very humble and polite when i spoke to her. All over i am definetly going to buy again from here and would strongly recommend to whosoever is sceptical to buy online. just go for it . Thank u Naksha for the beautiful saree just received..its truely a piece of art..unique colour..applique done nicely on the saree..nice collection also.thank u once again.